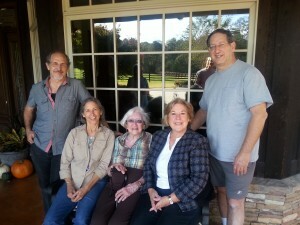 Elderly Mothers and the Benefits of Memory Loss – Carolina Castillo Crimm, Ph.D. Mom has always been an avid reader. It’s where I learned my love of books, I guess. 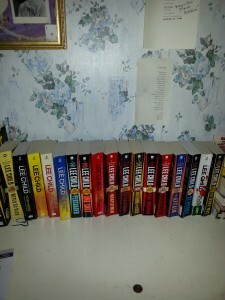 As I mentioned previously, she has the entire set of Lee Child’s Jack Reacher series. She threatened to throw them out, sell them off, get rid of them, but since I haven’t acted to carry out her mission, they are still sitting on her dresser. She picks one up and slips into Reacher’s world with avid regularity, a new book every few days or so. They are her escape. Mom has always had unusual reading tastes. Over the last fifty years or so, she would find one particular philosopher or author and become enamored of him or her to the point of obsession. She then insisted on sending each of us kids copies of her latest inamorata. Eckhart Tolle comes to mind. 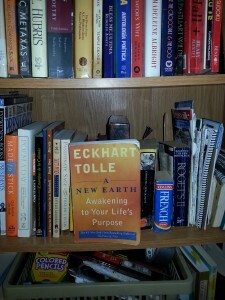 I think I still have three copies of his The Power of Now and A New Earth: Awakening to your Life’s Purpose. Remember, it was the ‘70s. Can you imagine this philosophy with teenagers? Can you say ‘lack of discipline’? It’s lucky we turned out as well as we did—no drunks, drug addicts or jailbirds. Now that she has mellowed, and because she refuses to collect books, we visit the library regularly. I’m sure she becomes highly conflicted when we pass the bookshelves where there are books available for only .25 cents for paperbacks and $1.00 for hardbacks. Sometimes she indulges and buys one if it catches her eye, but it comes back as soon as she has read it. She has also gone back to books from her youth. She recently wanted a copy of Montaigne (I don’t know why) and the library didn’t have it. I ordered it from Amazon (like Hubby Flatbottom, I have them on speed dial, or the internet equivalent) and she had it within two days. She reads it laboriously, forgetting and rereading, forgetting and rereading. She has also started rereading historian/philosopher Will Durant, exclaiming over his beautiful writing. And then she wanted a copy of Plutarch’s Lives that her father had suggested she read when she was a teenager. She said she hadn’t done it then, so she needed to do it now. Let’s see, that would be back some eighty years ago in about 1934. How did she even remember that? But there are great joys in a slowly slipping memory. She calls it ‘senility’ not the more threatening term ‘dementia’ or ‘Alzheimers’ (I still don’t know the difference). 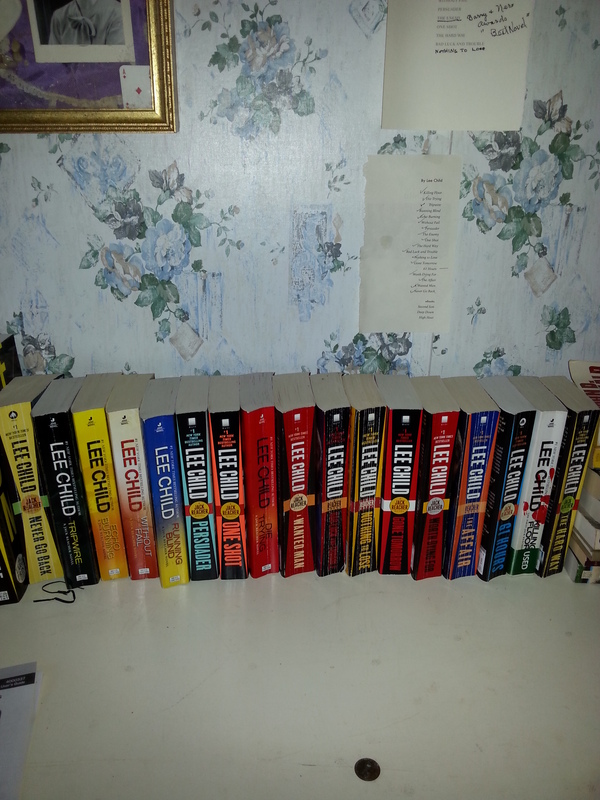 She can now read—or reread—her Jack Reacher novels and not remember them at all. Every story is new again. And that’s a good thing. 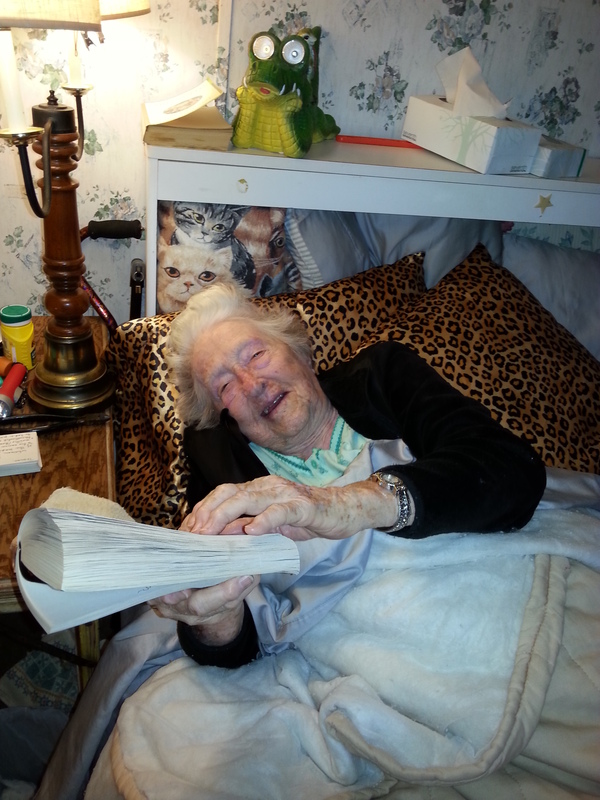 Unless Sister Sara gets hold of them, those 20 books ought to last Mom long into her twilight years. 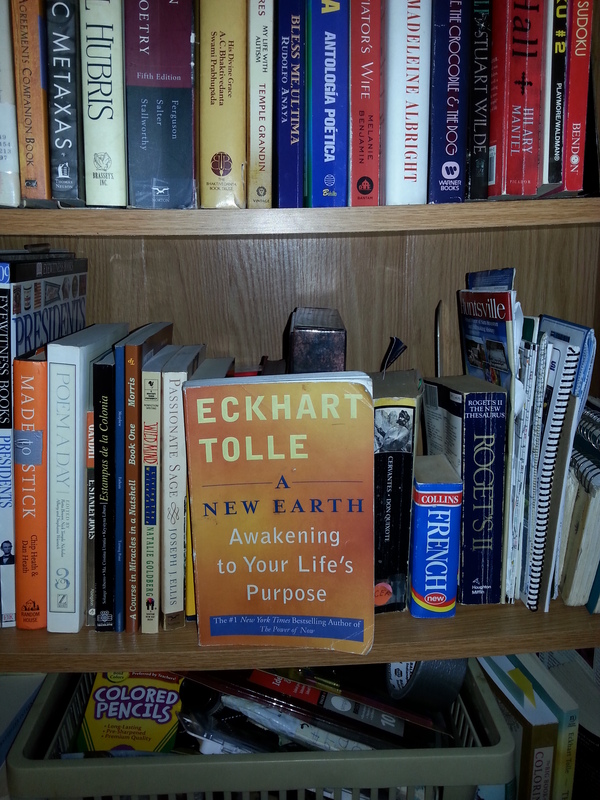 Mom had Will Durant in her bedside bookshelf as well, and many others. She, like Lou, was a true intelectual reader. I have to mention that aside from my own literature studies, mom introduced me to the joys of history, biography, arqueological studies, etc. things. Extremely bright. 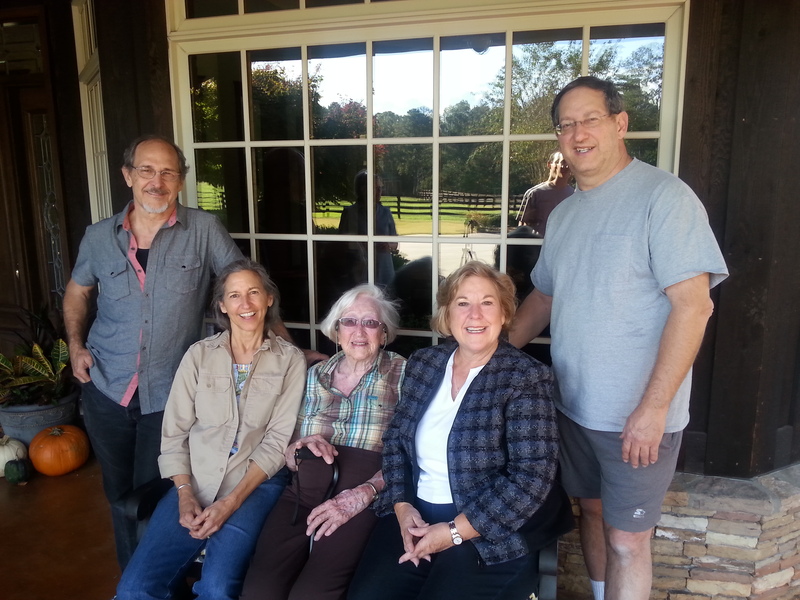 Despite the dificult phases of being a widow with four children, she handed Puggy, Mano, Sara and Charlie to the world, four creative and wonderful kids. We were truly lucky to have such great mothers! I too had to tell Tia Lou “yes I’ve read it.” Three or four times! Every time we talked or wrote during those years. By the way Puggy, what was the meme of the Children’s series that Mimi brought down for you and which we began to read, avidly, over and over again, when we were about 9 or 10?